Inside Avenue Recruitment provides our clients with pioneering Video CV screening as part of our selective and thorough recruitment process. In less time than it would take you to dial a number or schedule face to face interview, you can assess a candidate’s ability to effectively communicate with customers, clients and colleagues. 1. We return the process to your hands by asking candidates the key questions you really want to know that are specific to your vacancy. You just have to sit back and watch them answer without losing time in your business day. 2. 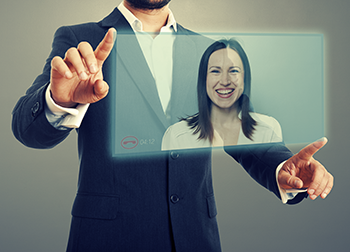 We save you time by enabling you to conduct more early-stage screening interviews faster. Reducing your time to hire is the key objective with any video interview. That simply means you only face to face interview the right candidates. And there are no surprises when they arrive on your door step. 3. We reduce your hiring process time by enabling you to make quicker decisions by cutting out time on wasted interviews. Call us today (0) 203 744 9444 so we can begin building your candidate shortlist for your next vacancy.